Mars One, the non-profit organization that has been recruiting hopefuls wishing to be among the first humans to ever step foot on the red planet, is pretty much a giant scam according to one finalist. Dr. Joseph Roche, an assistant professor at Trinity College’s School of Education who holds doctorate degrees in both physics and astrophysics, filled out an application several years ago mostly out of curiosity. Over time, he found himself among the list of 100 finalists for the project. The organization claims it fielded applications from some 200,000 interested individuals but according to Roche, the real number was just 2,761. But aside from that misrepresentation, Roche told Medium that what worried him the most as someone close to the program was the fact that some had paid their way onto the list. Furthermore, Roche claims the organization is asking finalists to donate any money they make from guest appearances to the cause. For a project that’ll require billions of dollars in funding, requesting what amounts to a drop in the bucket from participants seems a bit suspect. Remember that mini-documentary that The Guardian put together last month? Those “finalists” featured in the piece are simply the people that had generated the most money for the Mars One organization. Something else that has raised suspicion in Roche’s eyes is the fact that he’s a top 100 finalist yet he hasn’t met anyone from the organization in public. What was supposed to be a regional interview process was ultimately dwindled down to a 10-minute Skype call. During this call, Roche said he was quizzed on facts about the red planet and the mission he’d be on. At no time was he given a psychological or psychometric test – something that’d be very important for astronauts on a lengthy, one-way mission. Mars One planned to fund the expensive (~$6 billion) venture by producing a television reality show with production company Endemol. That contract has reportedly been canned and even one of the organization’s leading supports recently said he believes it’d be another hundred years before humanity is ready to tackle such a mission. 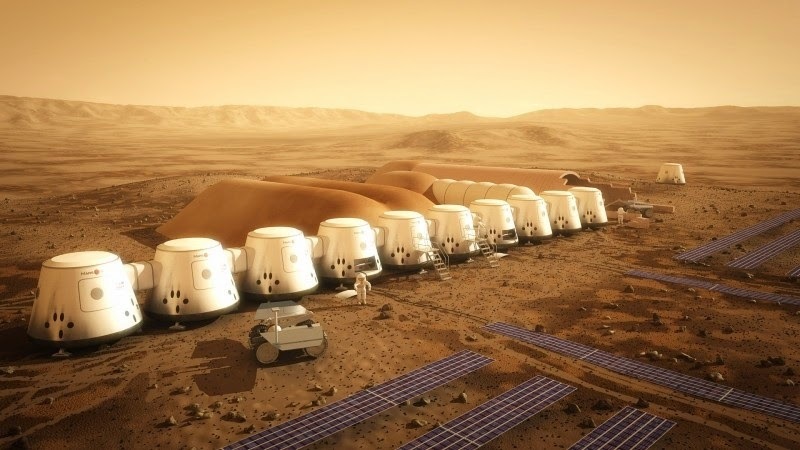 Because of Mars One’s eventual failure, Roche fears that people will lose faith in trustworthy agencies like NASA and perhaps even scientists in general. The last thing he wants to do is be part of something that could do damage to the public perception of science.